Get the latest, live forecast and severe weather alerts with AccuWeather - superior accuracy™ you can count on. 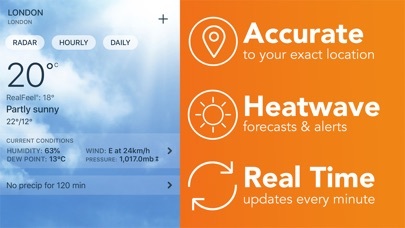 Enjoy reliable and accurate forecasts, customised weather information and real-time alerts. AccuWeather’s precision and scientific accuracy means you stay one step ahead. Be prepared for any sudden changes in weather with live alerts and detailed reports. Daily snapshots provide cloud cover, UV index and RealFeel Temperature® making the unpredictable, predictable. 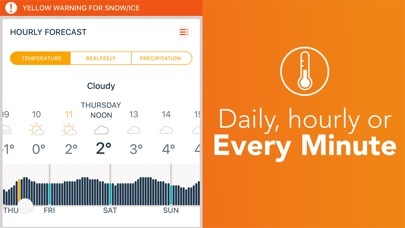 3 reasons why you’ll love using AccuWeather: 1. Superior accuracy™ whenever and wherever you need it. 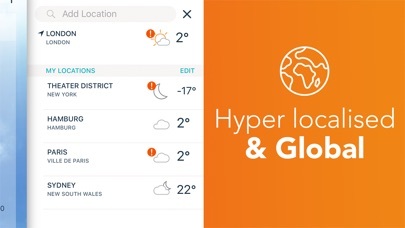 Get worldwide weather updates at home or away. 2. Be prepared for any severe weather event with AccuWeather's real-time alerts. 3. Don’t get caught in the rain! RealFeel Temperature® technology tells you the difference between how the weather looks and how it actually feels. Go beyond your local forecast. AccuWeather provides a daily snapshot of vital stats. From dew point to UV index, visibility, allergy, precipitation, and air quality reports, all the information you need can be accessed directly via the app. The best part is you control what type of information you get. From the daily forecast to minute-by-minute updates, there’s no reason for you to get caught in the rain. 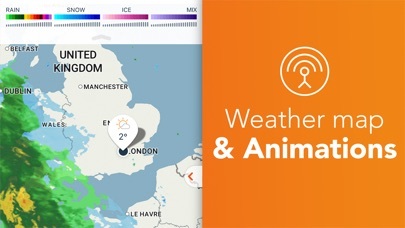 How to make the AccuWeather app work for you: • Personalise the app depending on where you are in the world. • Look 15 days ahead to ensure that you’re prepared for any weather. 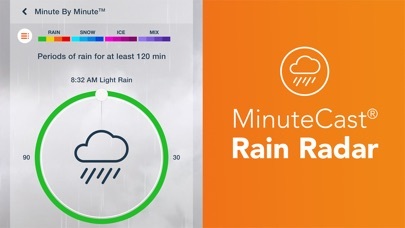 • Try the MinuteCast® feature for the most up to date weather forecast, minute by minute. • Get the latest trending videos from AccuWeather’s dedicated news team. • Filter according to your preferences and easily hide any features that you don’t want. Planning a weekend outdoors or want to watch a stunning sunset? With AccuWeather’s superior accuracy™ you’ll never miss a memorable moment. 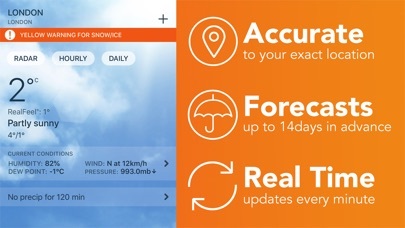 Wherever you are or wherever you’re going, get reliable weather information with AccuWeather. 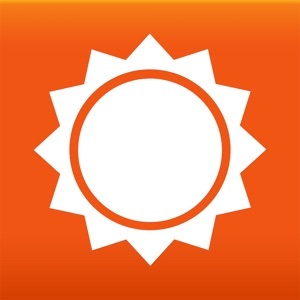 Download AccuWeather today for free and enjoy award-winning superior accuracy™ in weather forecasting on your iOS device.